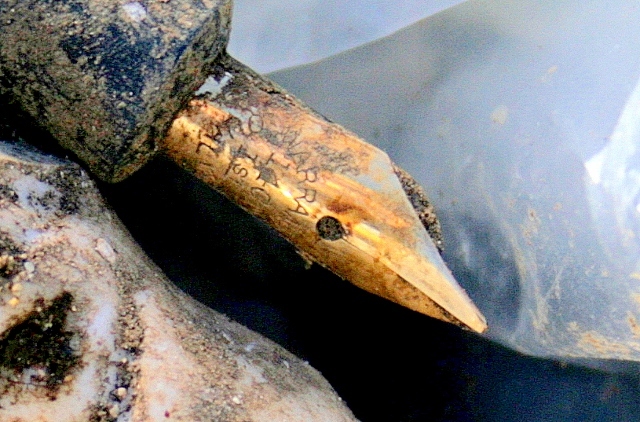 Yet another amazing dig day; finds with practically every insertion of the trowel. 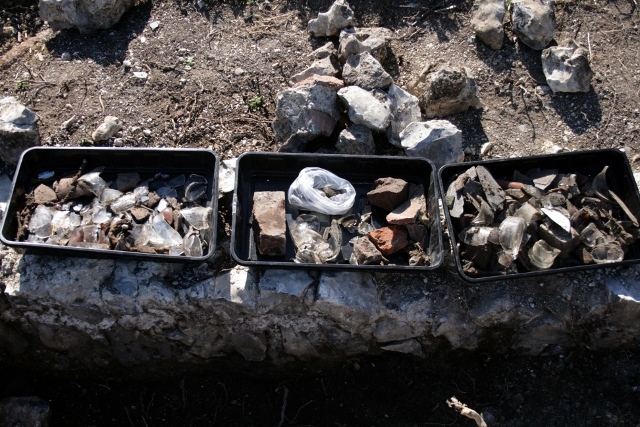 Our small finds of shards of glass, ceramic, metal & plastic weighed over 4kg! The rain earlier in the week had dampened down the dust so it was much nicer digging than last week. 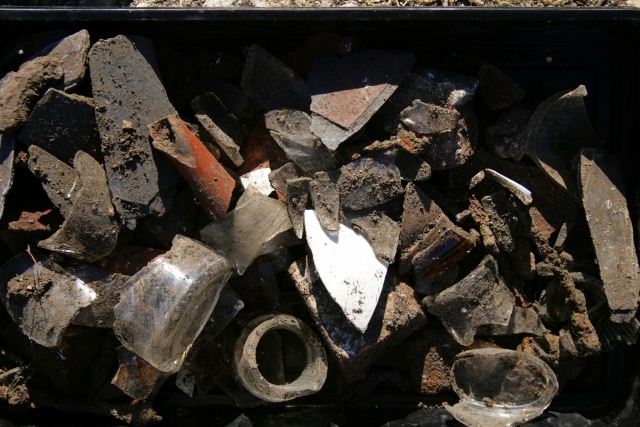 Finds, including brown teapot spout. Limb of ceramic figurine, pen nib, light bulb, and piece of red plastic. 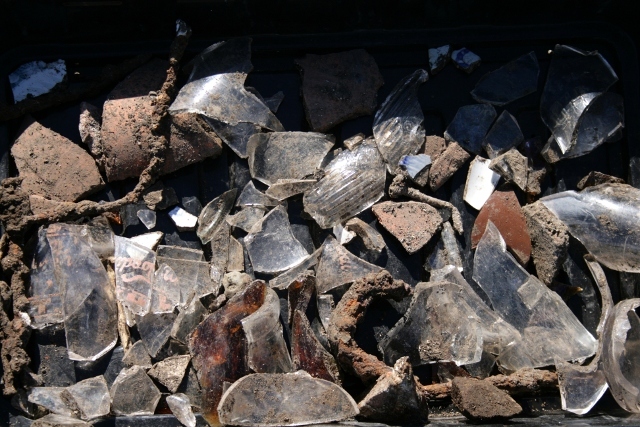 Shippams fish/meat paste jar shards, and other finds. 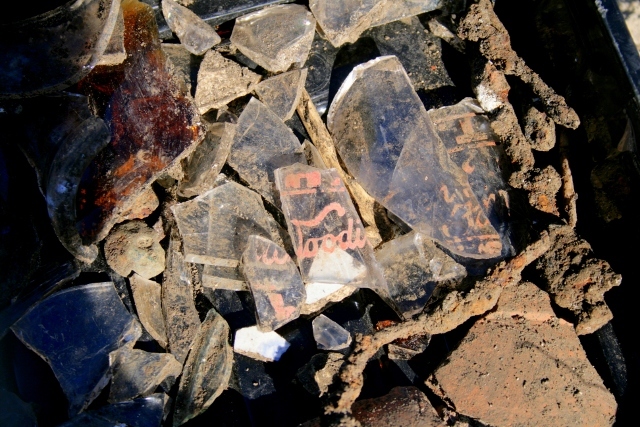 Milk bottle shards from Woodingdean Dairy(?) and other finds. 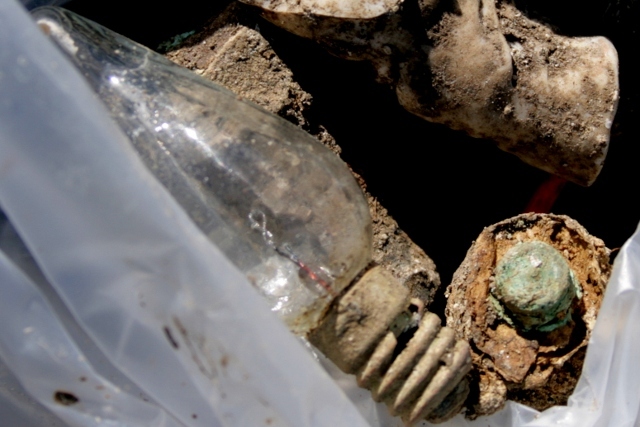 Light bulb – with intact filament! And my personal favourite, a completely intact (including the filament!) medium small screw fitting light bulb such as might be used for Christmas tree lighting. 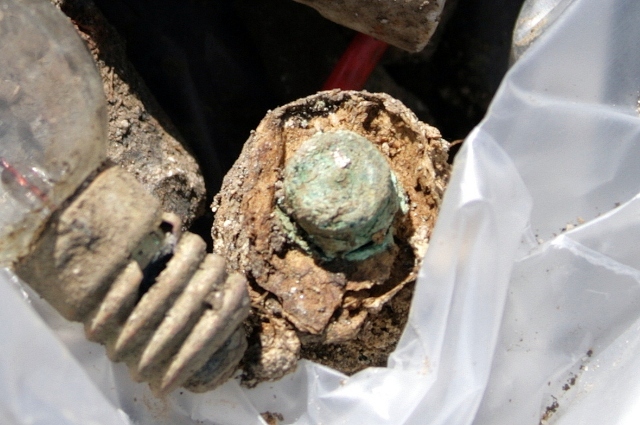 Corrugated iron sheet and other finds. 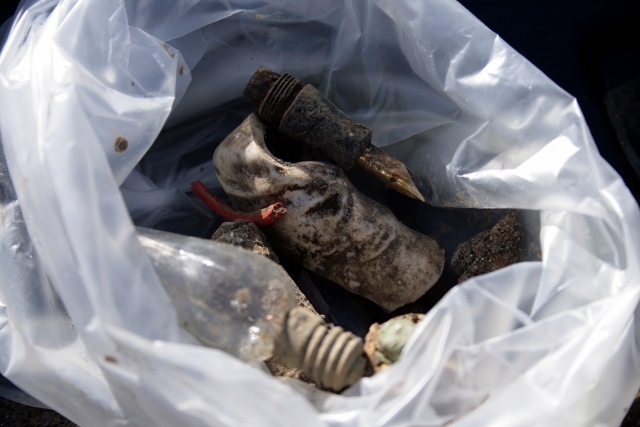 Also found were a range of metal finds, including rusty nails, short pieces of barbed wire, a spanner-like tool for undoing a square nut, and a large sheet of galvanised corrugated iron in good condition (extends beyond trench so only partially excavated. 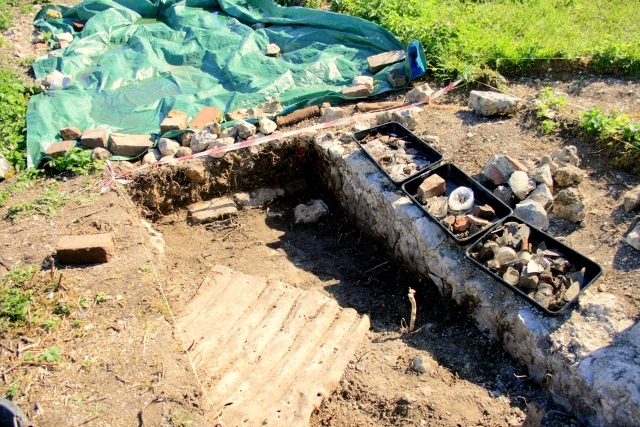 Due to the depth at which they were found they were possibly deposited in a hole in the ground in the corner between the front door, the garden/farmyard wall, and the outside toilet. 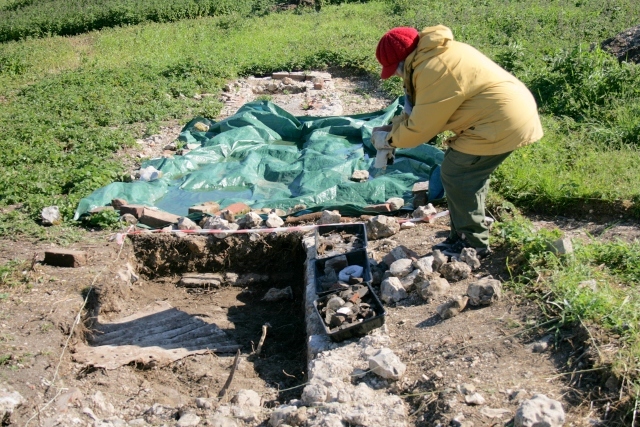 The top of this context was full of collapsed wall rubble, the lower part was of a garden soil. The extent of the context has been hard to determine since WW2 shelling has done much damage in its vicinity. 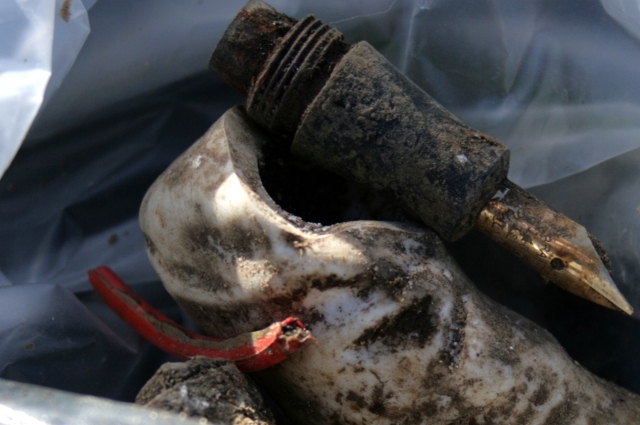 The assemblage of finds suggests they may all belong to the 20th century, probably the second quarter, and from their context, before 1945 – though perhaps this just reflects a general increase in material goods (identifiable & otherwise) with the passage of time.